Among the various features of a home, plumbing is arguably one of the most important. A functional plumbing system comprises of different systems working to achieve a common objective. Unless your house is new, there is always the chance that your plumbing system is outdated. Over time, wear and tear often results in the need for sewer line replacement services. 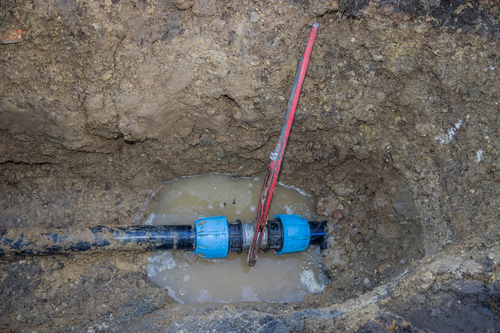 Unless you are under a boil order, live in a rural area, or have well water, discoloration is one of the most common signs that you need water line repair services. Corrosion often leaves rust in your pipes as water runs through them, which is what causes the discolored water. Mineral deposits clog pipes and cause the buildup of pressure if left untreated. Unfortunately, your water lines might eventually burst due to continual pressure, leading to catastrophic damage. As such, you need to take appropriate action immediately you notice discolored water. The material used to make plumbing systems varies depending on year of construction. Since the kind of material used usually determines the rate of deterioration, it often has a dramatic impact on when you should replace your plumbing. For instance, while copper, brass, galvanized steel, and cast iron all have a lifespan of more than 70 years, PVC pipes can only survive for 40 years at most. As such, knowledge of the type of material used helps you to determine whether or not it is time to replace your plumbing. In addition, lead pipes are an entirely different story since lead is highly toxic. If consumed in large quantities by an adult or in small amounts by a child, lead can ultimately cause a severe health hazard. Fortunately, professional plumbers can test your plumbing systems to determine whether or not the lead present in your pipes is above the recommended level. 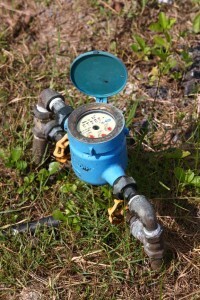 For an average homeowner, pinpointing the exact cause of low water pressure is hard. While both clogged and leaking pipes can lead to reduced water pressure, leaky pipes often cause mold growth and wood rot, both of which can eventually damage your foundation and framing. Additionally, mold negatively affects your indoor air quality, a problem that is not easy to fix. As such, taking appropriate measures immediately you experience low water pressure is of significant importance, regardless of whether the problem is in your shower or kitchen sink. Although conventional drain cleaning products can at times alleviate the issue, retaining the services of a professional and experienced sewer line repair company is necessary to avoid persistent or future problems. There is a chance that you have exposed plumbing lines somewhere in your home if it is at least 60 years old. Since pipes usually run through the basement, you can check your basement to find out the overall condition of your plumbing system. Check all the pipes for flaking, discoloration, bumps, dimpling, or anything else that seems out of the ordinary. You also need to check for pipes showing signs of moisture accumulation and pools of water, both common indicators of corrosion and pipes that are not sealing properly. Finding any of the signs mentioned above does not mean you need a complete plumbing overhaul. A little repair work could be all you need for some of the pipes. 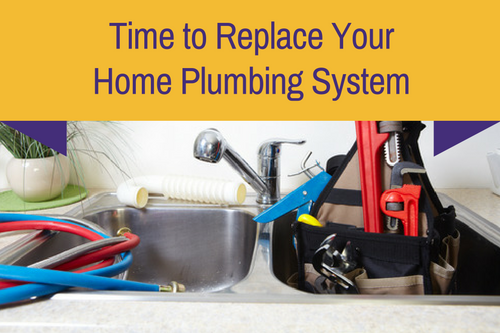 However, you should not wait until it is too late before you upgrade your plumbing system. Give us a call today, to chat about your plumbing concerns. Accurate Leak and Line has the know-how to offer the best recommendations for your home’s plumbing.